We all have to start somewhere. 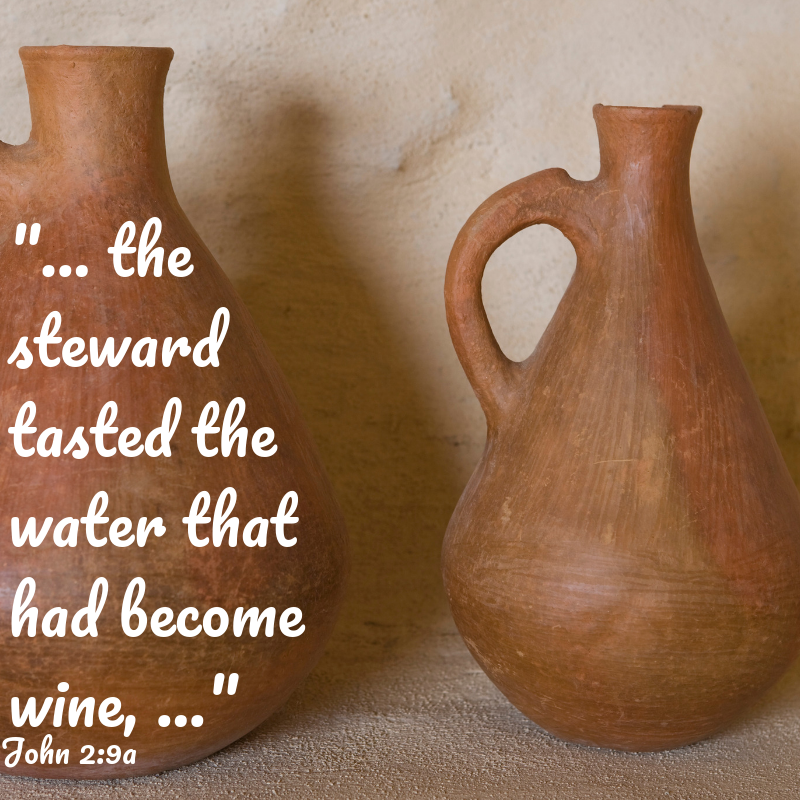 John tells this intriguing story of Jesus turning water into wine at a wedding (found only in John’s gospel) and declares that it is the first sign that Jesus performed. It is intriguing, given that running out of wine at a wedding can be a very serious matter, but is hardly life and death. On the other hand, perhaps more than anything else this miracle is a reminder that Jesus comes to share life and celebration and goodness. However we understand the story, John wants us to know that this is the point at which Jesus’ disciples began to believe him. What are signs and happenings in your life that have caused you to come to celebrate life a little more fully because of the presence of Christ? create, work, and teach, and heal in new places. that you also meet us at the wedding feast. Ready our hearts to welcome you and your work among us.